Iowa continues to collect an increasing amount of taxes. A Legislative Services Agency report shows the state collected $8.397 billion in net revenue during calendar year 2017. This is an increase of $222.9 million (2.7%) compared to calendar year 2016. 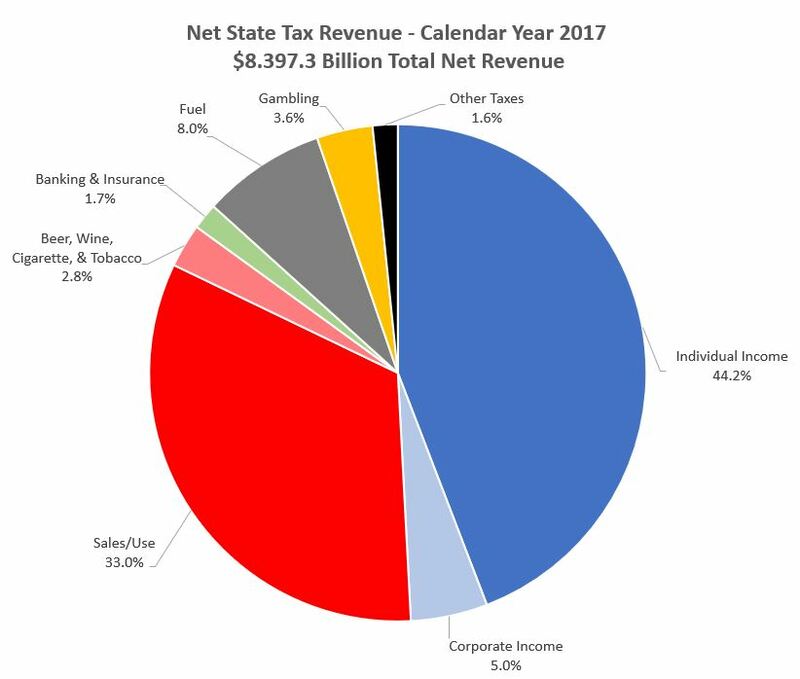 Over $6.898 billion or 82% of Iowa’s revenue for this period came from the individual income tax, sales/use tax, and corporate income tax. This data once again shows Iowa does not have a revenue problem. Iowa has a spending problem! State and local governments in Iowa spent a combined $9,282 per person on education, public welfare, health & hospitals, highways, and police in Fiscal Year 2015. When compared to 14 Midwest states that amount is the third highest. Only North Dakota and Minnesota spent more. Politicians from both parties compare government budgets to family budgets. This needs to be more than just talk. Spend less than you take in. The state should have priority-based budgeting to determine how to fund core government services while rooting out waste. As Iowa’s tight budget situation lingers, the call for additional revenue sources continues to grow. The Des Moines Register recently published an editorial advocating a tax increase on beer to fund various programs and law enforcement efforts to deal with alcohol-related issues. The editorial board argued that a higher beer tax would discourage drinking and reduce the harmful effects of alcohol abuse.